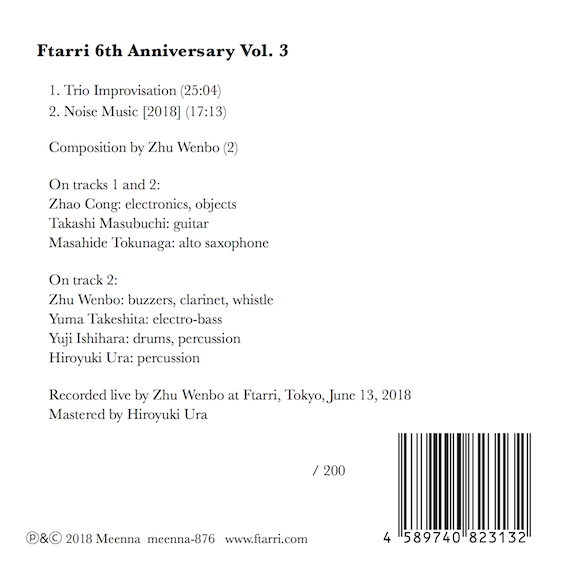 This is the 3rd CD release commemorating the 6th anniversary of Ftarri, the CD shop in Suidobashi, Tokyo. It documents a concert held at Ftarri in June 2018, featuring Beijing-based musicians Zhu Wenbo and Zhao Cong. The first set was an improvised performance by Zhao Cong (electronics, objects), guitarist Takashi Masabuchi, and alto sax player Masahide Tokunaga (25 minutes). 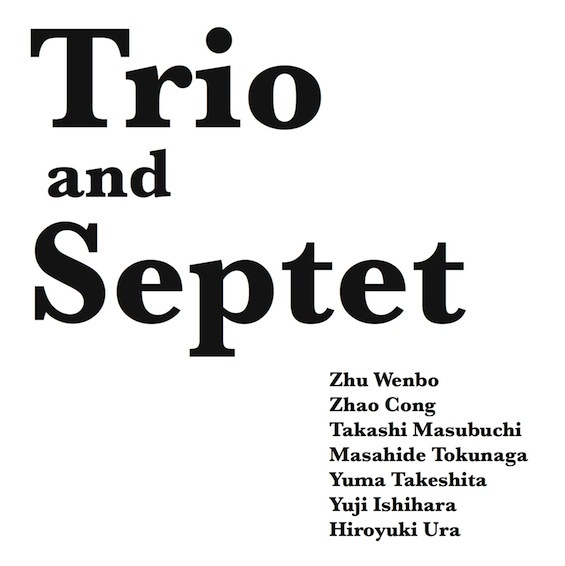 In the second set, a septet consisting of these three musicians plus Zhu Wenbo (buzzer, clarinet, whistle), Yuma Takeshita (remodeled bass guitar), Yuji Ishihara (drums, percussion), and Hiroyuki Ura (percussion) perform Zhu Wenbo's composition "Noise Music" (17 minutes). Both are carefully controlled, finely detailed, superb performances.